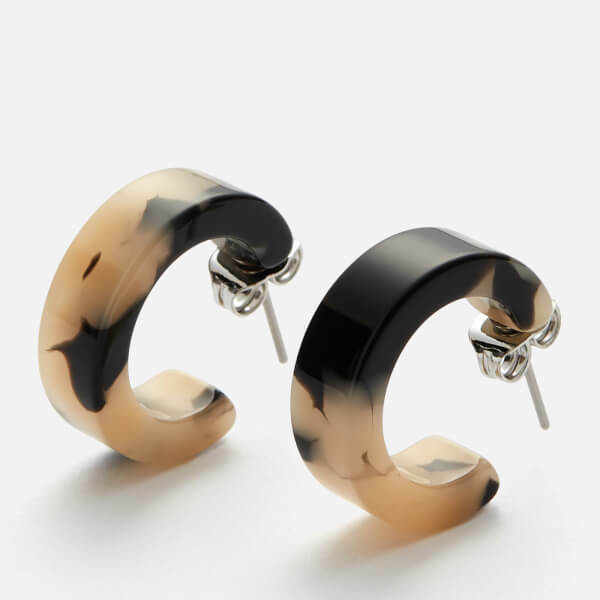 ‘Mini Tort’ hoop earrings from British fashion and accessories label, Whistles. 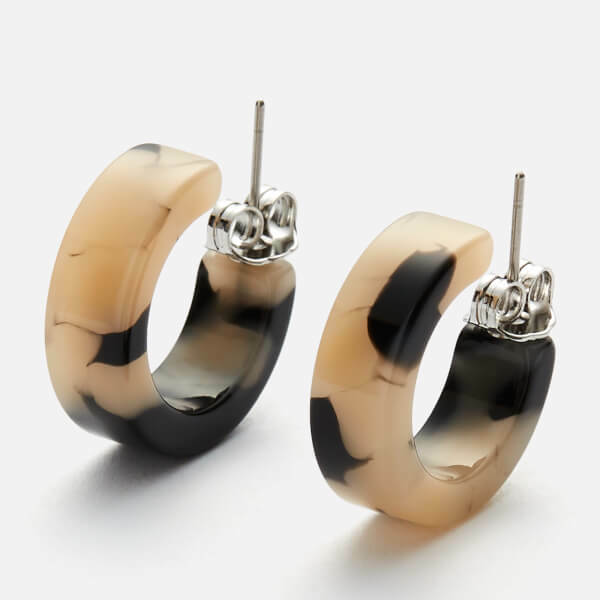 Crafted from resin, they arrive in an eye-catching tortoiseshell design and feature a C-shape that hugs the earlobe. Secured with butterfly backs.